Everyone is affected by healthcare in their own personal way. Our Physician and CIO Forum proved just that. Explore presentations and videos from the event to learn how. We all have a personal stake in healthcare, and it’s going to take a serious team effort to transform our industry. Learn more in our event recap. This year's Physician and CIO Forum was an astounding success! The excitement of our Web EHR and how it helps improve your productivity spurned over 30 education sessions and encouraged customers to share their stories and strategies. Thank you to all of our speakers, including our keynotes, Dr. Dave Williams and Tomi Ogundimu, for taking time out of their busy schedules to share their inspirational stories. And, most importantly, thank you to our attendees — our customers — who are the reason we strive to create solutions to transform the way care is delivered. Relive the forum by reviewing presentations and videos in both the Agenda and Education Sessions tabs. Are you a MEDITECH user with a personal healthcare story? Contact us and become part of One MEDITECH Circle. We represent the collective power of our MEDITECH community — customers, employees, and industry thought leaders — and we possess a veritable wealth of knowledge and insight that has the power to drive real change. Join the movement. Look for the icon for vvideotaped sessions. More videos coming soon! Never has the rate of change in clinical care been as dramatic as the past fifty years. Through the evolution of computers and informatics technology, the human genome has been mapped, a feat that was once considered impossible. As is the case in human spaceflight, the desire to push the envelope has driven the development of novel technologies in health care. In many cases, the application of space technology to clinical practice has transformed the way in which care is delivered, with many interventions such as surgical robotics and physiologic monitoring based on the terrestrial application of space technology. As we look to the future, the next great transformation in care delivery will be empowered through informatics solutions. These solutions not only enhance care delivery on Earth, they may also support future missions beyond Earth’s orbit. This talk will explore the application of sophisticated informatics solutions to healthcare and illustrate how the unique requirements of both spaceflight and healthcare will drive the evolution of next generation solutions. See Education Sessions tab for details. Population health leaders know that health care delivery is incomplete without addressing the social determinants of health. But care teams need help with addressing patients' social needs on top of their complex clinical needs. To this end, providers should partner with community-based organizations that are already providing non-clinical support, in order to scale patient management beyond traditional care settings. During this session, we’ll cover the case for collaboration with community partners, options for engagement based on resource intensity and target population, and methods for scaling efforts to achieve sustainability. 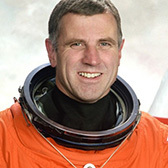 Canadian astronaut and physician Dr. Dave Williams is the President and CEO of Southlake Regional Health Centre in Newmarket, Ontario, where he brings an innovative and unique perspective on how to improve the overall patient experience. Applying processes learned through his time at NASA, he believes strongly that the development and marketing of commercialized, innovative solutions—whether it be process solutions, software development, or medical device creation—is the key to redefining the healthcare sector and enhancing our economy. Recently, Southlake announced a first-of-its-kind eHealth partnership with two other Ontario hospitals to integrate their Health Information System (HIS) and accelerate the adoption of MEDITECH's 6.1 Web EHR across the organizations. A Fellow of the Royal College of Physicians and Surgeons and the College of Family Physicians of Canada, Dr. Williams is also a member of the College of Physicians of Ontario as well as the Ontario Medical Association. Dr. Williams joined the Canadian Space Agency in 1992 and made two flights on the space shuttles Columbia in 1998 and Endeavour in 2007. Having also lived and worked in the world’s only underwater ocean laboratory, he became Canada’s first dual astronaut and aquanaut. In June 2012 Williams was inducted into the Canadian Aviation Hall of Fame. Learn more about Dr. Williams’s expansive medical background and astronaut history on the Southlake and National Speakers Bureau webpages. Tomi Ogundimu is the practice manager of population health for the Advisory Board. 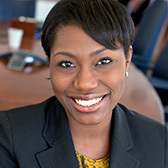 In this capacity, she works with population health and care transformation leaders on a wide range of projects, including developing an integrated care management model, measuring the ROI of their interventions, care delivery innovation, post-acute care network development, and patient engagement. Ms. Ogundimu understands that in order to implement successful population health strategies, an organization needs a team with three things: diversity in healthcare experience, skills outside of healthcare, and ability to get things done without leaning solely on tech executives. Her session will take all that into account as she discusses the role of community partnerships to advance population health management. Look for the icon for videotaped sessions. More videos coming soon! We're excited to offer multiple tracks of focus for our Education Sessions. Look for the following icons for sessions geared specifically to you, though we fully encourage you to attend any session you wish. Session 1 | Wednesday, October 18th, 11 a.m. Hear about Northwestern Medical Center’s journey to the Web EHR, including transition milestones, approaches, and tools. Get an early adopter’s perspective as they share wins and challenges from their recent go-LIVE with Web Acute and Web ED. Unfortunately, ransomware is becoming more prevalent in today’s technology. Your inbox contains emails from vendors selling their solution to the ransomware problem, but can ransomware truly be prevented? What steps should you take now to ensure a smooth recovery if the unthinkable does happen? Join Ryan Mountjoy, Ari Entin, and FBI Supervisory Special Agent Timothy Russell for an interactive panel discussion on this hot industry topic. Patient registries make it easy for you to monitor your patient populations in a variety of ways from a single, centralized routine—using data that is already available in your MEDITECH system. Join Dr. Szewczak and Dr. Travis as they demonstrate how this routine can be used to track groups of patients—large and small—for everything from annual physicals and wellness checks to disease and medication management. Follow Northern Westchester Hospital’s journey toward improving inpatient VTE prophylaxis using provider documentation and leveraging Client/Server 5.6 functionality. Learn how the combination of working on electronic Clinical Quality Measures and utilizing their two-year-old Anticoagulation Collaborative led to more accurate documentation and decision-making. LIVE demonstration. No presentation available. See how MEDITECH's web-based navigation improves provider efficiency and patient safety, while driving quality outcomes through inherent population management tools. Session 2 | Wednesday, October 18th, 1:45 p.m.
Christian Albarracin discusses the implementation and adoption strategies his organization used to implement MEDITECH’s Business and Clinical Analytics solution. He’ll review current dashboards and discuss how they allow end users to explore and analyze clinical, financial, and quality data. We'll also preview our future direction for dashboards and data sets that are being co-developed by Magnolia Regional Health Center and MEDITECH. We’re taking you on a journey from 6.0 to 6.16, highlighting strategies for a successful implementation, including project management and technical considerations. We’ll discuss the important role your Physician Advisory Committee and governance structure plays along the way, while also highlighting our new Revenue Cycle, Web Acute, and Web ED solutions. Sit down with our System Technology group for an open format Q&A. After you register for this session, you'll receive instructions for submitting your system technology-related questions, which will be used to generate discussion. Karen Sheehan and Dr. Bruce McNulty from Swedish Covenant hospital share their MAGIC to 6.1 journey, including why they chose to migrate and their implementation story. They’ll also touch upon the new functionality they’re excited about and lessons learned along the way. The HEART Pathway was designed to help ED physicians determine if patients presenting with chest pain are eligible for discharge, without the need for additional cardiac testing or monitoring. Dr. Peter Smulowitz will present his recently published study on the implementation and impact of the HEART Pathway at Beth Israel Deaconess Medical Center, followed by a demonstration of MEDITECH's plans for the integration of the HEART Pathway into standard ED Workflow. Join Dr. John Tollerson and Melanie Swenson from Kalispell Regional Healthcare as they share their experiences from their Web Ambulatory implementation. You’ll hear about challenges faced and lessons learned, as well as the technical decisions and design tips that helped them to roll out the solution to their clinics. Come prepared with your own questions, so they can help you on your journey. Session 3 | Wednesday, October 18th, 3 p.m. Hear from Dr. Jon Martell, CMIO of Hilo Medical Center, on his organization's successes with improving antibiotic prescribing practices through the use of order sets and embedded clinical decision support rules. You’ll also dive into MEDITECH's 6.1 Surveillance solution and learn how it integrates with physician workflow to drive antimicrobial stewardship. MEDITECH's new Rules Database is a central repository of approved rules for common healthcare processes, and provides customizable mechanisms capable of optimizing workflows and improving outcomes. During this session, you’ll explore the tool, review our content development methodology, and discuss how rules improve care while saving time and money. Learn how rules can help your organization incorporate pre-built, commonly used algorithms to reach optimal efficiency and enhance system functionality. MACRA is coming and MEDITECH can prepare you for it. Come hear a review of the proposed changes and latest updates for 2018, along with a review of the tools and support strategy MEDITECH provides to help you address MACRA legislation requirements. As the healthcare industry continues its march toward full interoperability, many organizations need practical, reliable solutions they can implement right now. Signature Healthcare CIO Gerald Greeley shares how his organization created a secure portal from their EHR to another organization’s EHR, providing real-time access to clinical data at the point of care. You’ll see how this endeavor has positively impacted safety, efficiency, quality, and provider satisfaction through the use of secure links embedded directly into clinical workflows. In 2015, The Medical Center at Bowling Green signed on to implement MEDITECH 6.1. Hear from the organization’s CIO and physicians as they share the project overview, how physicians took on a critical role in the implementation, and how they facilitated successful adoption of the system. Session 4 | Thursday, October 19th, 11 a.m. Explore the ways organizations are moving outside the traditional walls of the hospital to address social health determinants and take a more holistic view of care. REST APIs have become a standard way for client applications to interact with web-based systems. Attend this session and discover the RESTful API infrastructure created by MEDITECH and learn about some of the use cases developed using this infrastructure. On November 1st, Avera Health will go LIVE with their largest non-brick and mortar project in its history with the launching of MEDITECH 6.16. Knowing the impact a project of this scope can have on provider productivity, Avera has done its homework to ensure implementation success. Join Dr. Andrew Burchett as he shares lessons learned, clinical wins, and dependencies for successful of 6.16 go-LIVE. Learn about the types of Artificial Intelligence technology MEDITECH is researching, including exploration of virtual assistant and virtual scribe use cases. Northwestern Vermont Medical Center served as an early adopter for MEDITECH’s 6.16 Web ED solution. Join Dr. Louis Dandurand and Jodi Frei as they share their implementation story, highlighting lessons learned and key strategies to a successful rollout. Providers spend much of their day documenting their patient encounters. Why not turn those documents into a tool for change to engage and empower your patients, increase patient satisfaction, strengthen trust, and improve outcomes? OpenNotes is the international movement dedicated to making healthcare more open and transparent by urging doctors, nurses, therapists, and others to share their visit notes with patients. Learn more about the movement from Dr. Sigall Bell, Associate Professor of Medicine at Harvard Medical School. She leads the OpenNotes Patient Safety Initiative, a multi-site study examining the relationship between OpenNotes and safety outcomes. Listen as Dr. Jundt shares his experience in rolling out OpenNotes, and relates his experience in improving patient-provider relationships. Avera Health describes how they implemented their Zero Suicide Initiative framework not only for suicide prevention but also for bringing behavioral health back into healthcare. This framework is helping the organization deliver more responsive, convenient, and personalized patient care while avoiding high acuity/ high cost emergency visits and associated admissions. Session 5 | Thursday, October 19th, 1:30 p.m.
MEDITECH continues to support migrating our existing MAGIC and Client/Server customers to 6.16. This session will highlight the project process and what you need for a successful implementation. We will share support plans, implementation methodologies, and lessons learned. CPT 99490 is a reimbursement program pertaining to Medicare fee-for-service patients that incentivizes the delivery of chronic care management services. During this session, we’ll review the requirements organizations need to meet to receive reimbursement and how MEDITECH’s registries can help you achieve this revenue opportunity. As EHR systems continue to expand into every last corner of the hospital and health system, ease of ownership, deployment, resource allocation, and security are increasingly "top of mind" for today's CIO. Learn how MEDITECH as a Service (MaaS) can provide a sole-source, subscription-based, efficiently implemented cloud solution to the smaller, rural hospital market. Learn about how our involvement in interoperability initiatives ensure physicians and patients have safe and secure access to important clinical information when and how they want it. Hear how our participation in the CommonWell Health Alliance will help our customers' achieve the goal of exchanging patient data nationwide, improving patient care and patient safety. We'll also discuss our leadership involvement with the Argonaut Project and how FHIR technology/standards will open up MEDITECH's platform to power modern mobile applications. Join us as we explore how MEDITECH and Spectrum Medical have collaborated to provide a robust Anesthesia Integration suite, by sharing key pieces of critical patient information between the MEDITECH 6.1 EHR and Spectrum Medical’s Anesthesia Information Management System (AIMS). We’ll hear from Rick Osborne of early adopter Commonwealth Health Corporation, as he shares how the new integration suite is working for the organization. Rick will review the implementation process, go-LIVE, and their overall experience. We’ll also discuss the current and future state of the integration suite. Listen as Rebecca Lancaster and Dr. Steve Jones highlight areas of MEDITECH’s new Web EHR designed to provide improved cognitive value. Learn how improved decision making and a reduction in physician burnout can be achieved through the use of flatter screens and pushing information relevant to the patient’s story. Session 6 | Thursday, October 19th, 2:45 p.m.
Understanding your hardware infrastructure is vital to the success of a web-based EHR. Hear about our new web connectivity solution introduced in 6.15 and 6.16 and learn the hardware required for a successful jump to 6.16. We’ll also discuss some of the new and exciting technologies we’re introducing to our customers. MEDITECH’s new Web Point‐of‐Care solution complements the mobile capabilities of our Patient Care System by enabling clinicians to conveniently review patient lists and document care from smartphones using modern web browsers. Explore how nurses, LPNs, aides, and other care providers can use this new functionality to perform such tasks as bedside verification and care intervention documentation. Discover the connection between clinical decision support alert fatigue, EHR physician satisfaction, and system effectiveness. Explore some of the reporting tools available in our 6.x platform that will help you monitor alert fatigue and make adjustments to alert effectiveness. Implementing an EHR that involves acute, ambulatory, and other venues of care can be challenging. We’ll explore the requirements for combined workgroups, governance, and decision making by physician leaders to help ease the process. We’ll also discuss lessons learned, effective strategies, MEDITECH-authored useful tools, and our Clinical Leadership Preparedness Program (CLPP). Explore the ways MEDITECH supports organizations during the transition from fee-for-service to value-based care population health management via various alternative payment models, based on concepts put forth by MACRA. The Protecting Access to Medicare Act (PAMA) of 2014, significantly revises the Medicare payment system for clinical diagnostic laboratory tests. Listen as Dr. Spector and Dr. Jones discuss its impact on physician workflow and guide you through our Web ED and Web Ambulatory products. Special thanks to all our vendors! Be sure to stop by their tables at the event. For 20 years, Acmeware’s focus has been on custom report development, interfaces, data repository (DR) maintenance, DR training, and quality reporting. Our Expanse Reporting Strategy assists clients with conversion of NPR reports to SQL, Report Designer, or BCA reports when implementing or upgrading to Expanse. As a MEDITECH collaborative solutions vendor, we provide quality reporting in both Acute (CMS and The Joint Commission) & Ambulatory (MIPS) environments. Congratulations to the Providers and Provider Groups who worked with Acmeware this past year and averaged a MIPS Quality Score of over 95, among the highest in the nation. ACS MediHealth is a MEDITECH-preferred integrator for 24 years who provides hardware, software, and professional services to our clients. ACS has worked with MEDITECH clients in the following areas: Home Health/Hospice, Long Term Care, Ambulatory, and Acute Care environments, ranging from 25-bed critical access hospitals to large IDNs. ACS also provides access for MEDITECH’s Patient Generated Health Data (PGHD) Portal for tracking wellness, analyzing data, and patient trending. Cloudwave provides on premises and cloud-based technology solutions designed to help hospitals achieve operational sustainability. Our best practices have been established through our deep background in healthcare and experience operating, supporting, and managing IT Systems for hospitals both on pre+mises and in the Opsus Healthcare Cloud. DrFirst is a preferred, fully-integrated e-prescribing provider offering cost-effective, fast, and efficient medication management through their Rcopia® e-prescribing platform. The solution also streamlines medication reconciliation and discharge e-prescribing to enhance safety and improve care. First Databank (FDB) is the leading provider of drug knowledge that helps healthcare professionals make precise medication-related decisions at the point of care. With thousands of hospital customers throughout North America and more than three decades of experience, FDB delivers drug formulary data and clinical screening solutions to our MEDITECH customers that help improve patient safety, quality and healthcare outcomes. For more than 20 years, Forward Advantage has partnered with MEDITECH to empower providers to do their jobs as efficiently and effectively as possible so they can focus on what’s really important – the patient. Our suite of data-driving solutions enhance MEDITECH and bring more value by providing better access to information and improved communication. We offer a wide range of solutions including: automated and intelligent report distribution, streamlined identity and access management, migration and legacy data conversion, EMR-integrated secure messaging, and interoperability solutions connecting hospitals and physicians. Visit www.forwardadvantage.com for a complete overview of our solutions. IMO developed the most widely-accepted medical terminology solution for healthcare organizations worldwide and is used by more than 3,800 hospitals and 500,000 physicians daily. 2.0 ETP saves organizations time and resources by providing automatic content updates for the EHR dictionaries. Also included is the Clinical Quality Measure Dashboard which gives visibility into CQM code coverage gaps, while quarterly dictionary refreshes ensure the dictionaries continue to be comprehensively and accurately mapped to IMO’s latest content. Medisolv is a national leader in quality reporting and management solutions covering electronic, abstracted and claims-based quality measures. Medisolv’s ENCOR is an integrated suite of software modules designed to measure and report data to quality reporting programs including CMS Quality Payment Program (QPP) for physicians, Hospital Inpatient and Outpatient (IQR and OQR) and The Joint Commission ORYX® Core Measures. National Decision Support Company (NDSC) bring years of experience in EMR data and solution management to create a new approach to decision support. The company’s CareSelect™ Platform represents a single, scalable solution to power your enterprise-wide clinical decision support programs including Imaging, Lab, Pharmacy, and Blood Management. CareSelect™ Imaging, the company’s PAMA-compliant imaging solution, delivers clinical guidelines for adult and pediatric directly into Meditech ordering workflows. Guidelines are sourced from leading medical specialty societies including the American College of Radiology, the American College of Cardiology and the National Comprehensive Cancer Network to ensure clinical coverage for all diagnostic imaging. Nuance and MEDITECH have partnered for 15+ years to deliver a full complement of solutions focused on simplifying how clinicians capture high-quality documentation in MEDITECH. Visit our table and see why more than 300 healthcare organizations and 15,000 clinicians that use MEDITECH also use Nuance. Learn about our current initiatives with MEDITECH, including our solutions: Dragon Medical One, Dragon Medical Advisor, CDI, Coding and Quality. By studying the unique workflow demands of anesthesia practitioners, Spectrum Medical has designed an advanced electronic system that clinicians actually WANT to use! Fast and intuitive with a one case learning curve, their Anesthesia EMR is rapidly changing the perception that this high acuity environment is best suited for a paper record. With integrated device connectivity, an engaging user interface, granular data capture, user-driven analytics, and a MEDITECH co-developed interface suite, anesthesia integration has never been easier. Most importantly, the Spectrum Medical anesthesia solution allows the clinician the flexibility to incorporate best practice strategies and standardized checklists to ensure quality and safe patient care. ZynxInside™ provides an exclusive MEDITECH Expanse integration of focused evidence-based content, including order sets and plans of care that span multiple disciplines and are optimized for MEDITECH use. Fully vetted by practicing physicians/clinicians, this embedded content helps to reduce time required by the client to build and gain consensus which expedites the Advanced Clinical go-LIVE. All ZynxInside clients are assigned a dedicated Zynx Health™ project team that uses proven best practices and processes to guide implementation.